I spend most of my holidays in my home country, Romania. This winter wonderland picture was taken two years ago in a quaint little village that led to a skiing slope. I spent a few days in Bran, a popular winter resort (Dracula's castle anybody?) with Andrei, my boyfriend and his family. Needless to say it was wonderful! It actually depends on the season! In winter my favourite scent is orange. I have always associated Christmas and holidays with the orange smell - it's just something about it. Plus it's one of my favourite fruits, I'd eat a ton in the winter. Oh, a tough choice! It's between tea and hot chocolate for me as I don't drink coffee - weirdo, I know! As much as I love hot chocolate I'm gonna go with tea, I have a million flavours in my tea dedicated cupboard. Truly a head scratcher! I have always regretted the passing of summer and hence autumn's arrival. I do think it has its charm, a sort of mysterious nostalgia to it, it's magical really but I'm totally a summer person. Best autumn memory? It marks both my boyfriend's and my father's birthdays so always a lot of great memories there. I only once tried the winged eyeliner thingy, didn't really work out for me so I'm going with the dark lips trend - I think it can make such a statement! 5. What do you want to be for Halloween? Long gone (time sure flies)! I was Emily from Corpse Bride, quite spooky and cool if I say so myself! I have big plans for next year though! We don't celebrate Thanksgiving but if we were I'm sure it would be pumpkin pie! I loove pumpkin! That's Thanksgivingy right? Both! Altgough I don't own many hats, I'd love to wear them more! Plus I have tons of beanies and scarves, the more colourful the better! I love to keep warm and toastie in the winter! It's gotta be my Geek print sweater from Topshop. Not so trendy anymore but I still love it and goes with basically everything! 9. Favourite autumnal nail polish? I mostly wear different shades of red and berry in the cold season. I started wearing glittery rich red as well, it's so festive! 10. Skinny jeans or leggings? I only wear leggings at home so skinny jeans for me! 11. Combat boots or UGGS? 3. What's the best winter memory you have? 7. Favourite autumn nail polish? 8. What's your #1 favourite thing about winter? 9. Best Christmas present you received? As always thank you for reading, 'till next time! Lovely post.... it's snowing also in my city!!!! And I am just like you, I don't drink that much coffee too, only on very rare occasions if I have not had enough sleep at night & I have to work 8 hour shift! & I would love to try on dark lips as well, still haven't got enough courage as I fear dark lipstick might be a little bit intimidating! Tnx for visiting.... have a lovely day honey!!! 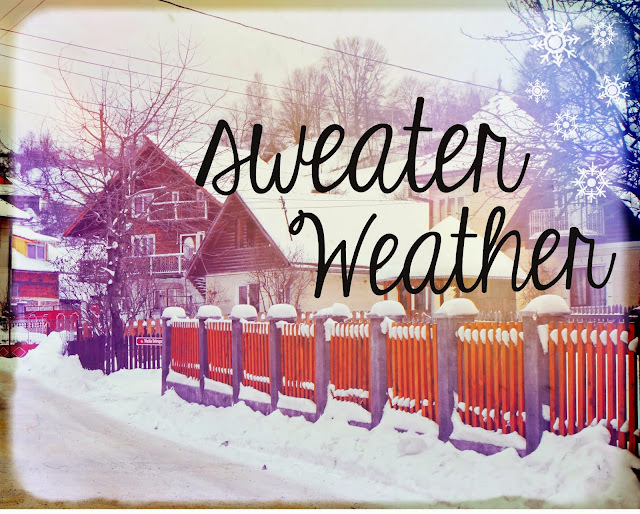 Oh, I love pumpkin pies too))) Lovely post and a great way to know you better:) The winter is really coming, stay warm, take care! My gosh I thought it was cold where I was? obviously not that cold compared to you,gosh snow and minus :/ must be super chilly but atleast the cold means its an excuse to layer up with lots of layers and snuggly jumpers! This is such a fun Q&A tag, I enjoyed reading through your great answers. I love winter, especially for Christmans. This is such a cute tag. I love winter (well, not the cold, but the Christmas and the snow and the clothes etc). 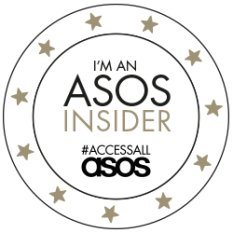 Hope you have a great time at the ASOS event - you are lucky. Hope you blog about it! Lovely post dear, were I live it doesn't snow. but I bet it's beautiful were you live!! It's so nice to get to know you better! we love glitter polish for the festive season and cooler months!! great tag Liana! hele mooie en leuke antwoorden! Great suggestions! Very useful! Thanks for your posting! great if you follow me back! Sweater weather! And oh the combat boots! Great read. so cool that you dressed like the girl from corpse bride for halloween! 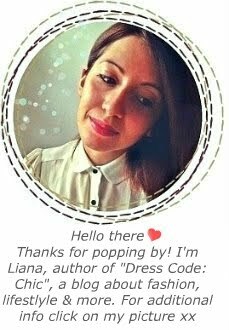 Tnx for your lovely comment Liana!! que post tan bonito! amo el invierno! I don't drink coffee either, so I guess you're not the only weird over here haha. Love ur post and love the layout of ur blog, u've done a great job! lovely post, always nice reading personal experiences! I love this tag post!! I'd love it if you could check out my blog and perhaps follow each other!